Pizza, pies and cider. Win, win, win. Especially if you’re dining out en famille. Pizzas, everyone loves. Pies, ditto. Award-winning, artisan ciders? Many of us adults are quite partial to those, thank you. The Stable is a growing chain of restaurants throughout the south west and we visited their newly opened Cardiff offering. It all began in 2007 Richard and Nikki Cooper left their jobs in the London music industry and bought a dilapidated hotel in Bridport, Dorset where they converted the outbuilding and former stable into a restaurant. 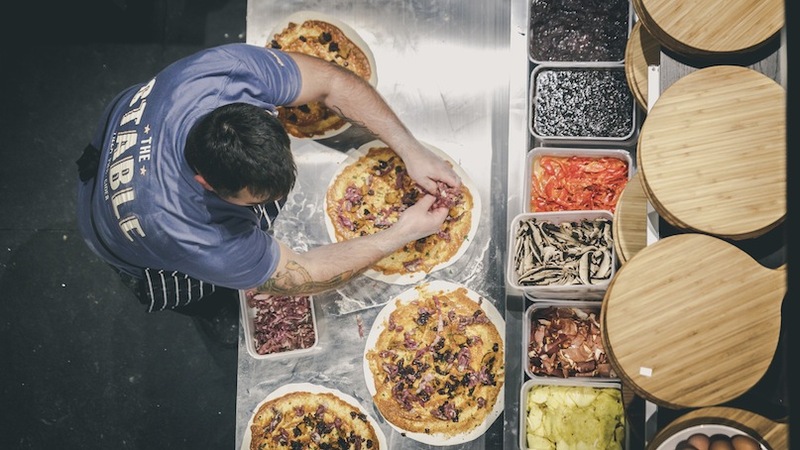 They wanted Real Cider on the menu (Dorset is full of small scale producers) and experimented with a sourdough as a base for a very British pizza, topped with top-notch (and some might say unusual) produce for pizza-toppings from local growers and suppliers. 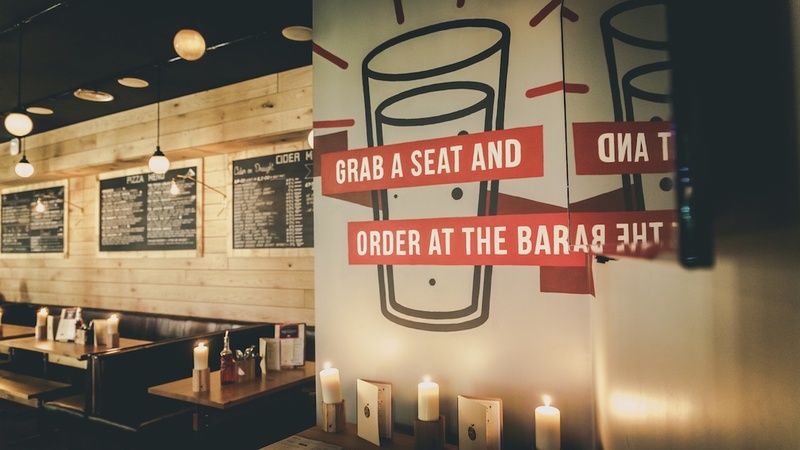 The formula was a winning one and they have since expanded around the south (Bath, Bristol, Cheltenham, Falmouth) and now have 13 outlets; Cardiff’s the latest, with more on the cards. Every menu in each restaurant is slightly different, reflecting what ingredients can be sourced locally. We tried three pizzas: The Blazing Saddle, £13.00 topped with tomato sauce, slow roasted pulled beef, Trealy Farm (Monmouthshire) smoked streaky bacon, caramelised onions, roasted red pepper and mozzarella – topped with sour cream and jalapeños. The Longhorn Jim, £13.50, with marinated Longhorn ground beef, Trealy Farm chorizo, field mushrooms, roasted red onions, fresh tomato sauce and mozzarella topped with Trealy Farm beech smoked air dried ham. Both were delicious – the base light, airy and crisp and the toppings more than generous. And finally The Trealy Farm Streaker £11.00 with Trealy Farm smoked streaky bacon, field mushrooms, field mushrooms, fresh tomato sauce and mozzarella topped with a free-range egg. 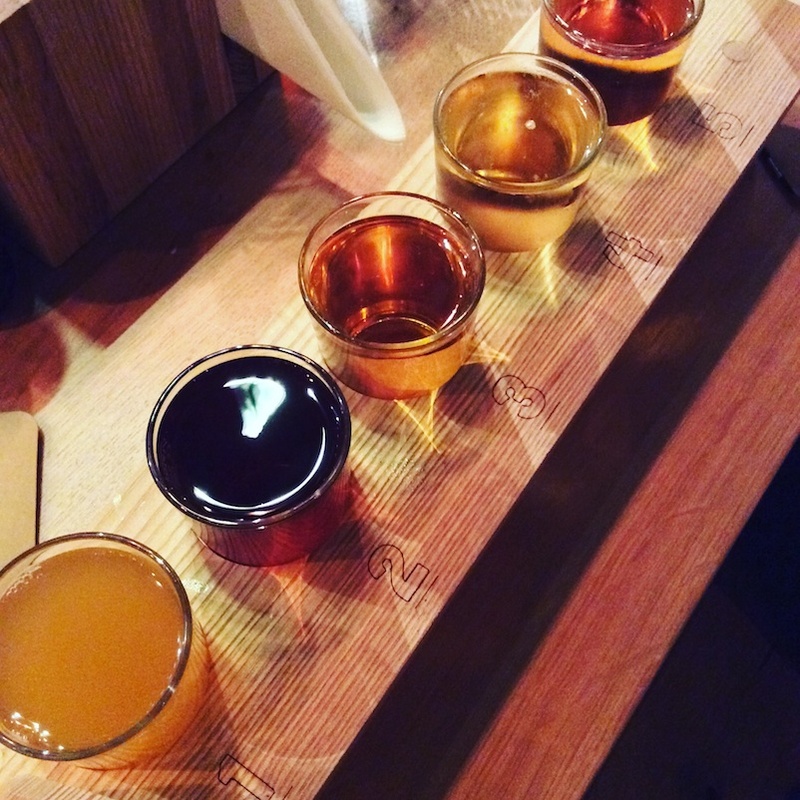 To go with our meal we had to opt for a Cider Tasting Board – your own choice (with a little help from the bar staff) of 5 x 1/3 pint glasses. The staff can even tell you the sequence in which to drink them (depending on fullness of flavour so your tastebuds aren’t overwhelmed in the wrong order). With 80 or more to choose from (sparkly, cloudy, still, sharp, sweet, strong..the list goes on) it’s a bit like being a kiddie in a sweet shop. The dessert menu isn’t extensive, but that’s a good thing. Because what is on there is considered…and comforting. My son (who is a chocolate brownie afficionado) declared his one of the best he’d tasted.